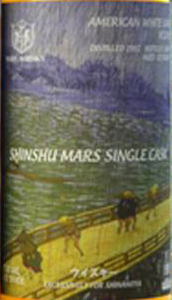 This Shinshu Mars was bottled for Shinanoya in 2004 and is 12 years old. Aged in an American white oak cask and bottled at 43% vol. in 720ml bottles. Comment: Very nice nose, full and fruity but the mouth and finish can't keep up. Maybe partly due to the 43% vol. A little bit more would have helped for sure, as it stands it feels a little bit shallow. Would you be kind enough to email me at edward.davidson@cask88.com as i have a question to ask you but cannot find youre email address . Thanks so much.